A few tips for building a good mobile website. 1: Consider is whether your site is "thumb-friendly". What that means in practice is lots of big, fat buttons. Keep the font size fairly large and the navigation should be fairly intuitive following the "KISS" principle. Also, since the user is already on their PHONE - a prominent CLICK TO CALL button. 2: You need to be on page one of the search results. Users won't scroll through pages of results. Highlight your specific location to help boost your business in the top results for geographic searches. Keywords that begin with your location - and then the keyword will help place your website at the top of the local listings. 3: Integrate with links to your social media listings. Yelp! : Encourage customers to leave positive reviews. Check your business’s profile regularly so that negative reviews can be remedied and won’t appear first when new customers search for you. Foursquare: Recent updates to Foursquare let users find businesses in their current location and see what customers have to say. Be on the lookout for any negative reviews and consider offering “check-in” specials to engage customers and encourage referrals. Facebook Nearby: With the introduction of Graph Search, users can look to the social network’s “nearby” feature for local ratings, reviews and recommendations from their networks. Now more than ever, make sure your business’s page is complete with address, phone number, hours and other key details. Not only does text messaging have a higher response rate but the response is quicker: It takes 90 minutes for the average person to respond to an email, while it takes 90 seconds for the average person to respond to a text message. So if a business offers a coupon by text messaging there is a higher probability the business will receive response using the coupon and those responses will almost start immediately. Then if you add the fact that advertising by texting is performed at a lower cost than comparative traditional advertising media it looks like a great opportunity for businesses to pursue this channel. One interesting cost comparison might be to compare the cost of delivering a customer to a business by offering a discount coupon through the socially hot service of Groupon. This service will usually push the business to offer a 50% discount coupon and then charge the business half of the 50% discount per coupon delivered. This can be quite costly as you can see. At the same time a coupon delivered by texting might only cost $ 0.10 to deliver. WOW this is looking better and better, don't you think ? Since there are so many people using mobile devices today, a vital portion of your mobile marketing strategy should be aimed at the short messaging service (or SMS). We will be happy to consult with you to provide you with our best advice in order to use this type of marketing to its highest potential. When individuals get text messages (especially text messages from companies that they don't have an extremely close relationship with), most likely they really want the message to be short and to the point. Do not send a really detailed text message because it's almost guaranteed that the recipient will not read everything you are saying. There are many marketing options you may use if you want to send an in depth message but that is not what you want to do when you take an SMS marketing approach. Do not strain your company-customer relationship. If someone wishes to unsubscribe from getting text messages from you, you should give them that option and you ought to make the unsubscribe option as painless as possible. By causing them jump through hoops to unsubscribe you simply give the customer a bigger headache and it could make them resent your company for it. Alternatively if they decide to unsubscribe from your mailing list and it is an easy process they are going to still have a respectful relationship with your business. With SMS marketing you want to make the messages you send to people to be as personalized as much as you can. Something as simple as adding the recipient's first name to the beginning of the message you send them can really help a lot to give them the impression that you are being personal with them. If it sounds annoying to you to go through every message you send out to your large subscription list to add first names, don't be concerned. There are scripts you can utilize which will automatically add the recipient's name that they opted with to the text message to make the process much smoother for you. Keep your text messages current and reference current events within your messages. As an example, when there is a lack of a certain product that you offer perhaps you could send a message that reminds the customer that you continue to have that product in stock. This would persuade the customer to visit and buy that product from you while it is still easy for them to find. Let your recipients understand how to contact you if they feel the need to do so. Feedback is great for a business whether it is for your marketing efforts or on the product itself and you simply want to make sure that you maintain a good relationship with all your customers. Better communication will assist you in that way. SMS marketing is a really personal marketing technique and it has the added bonus of being really cheap compared to most methods of marketing. Bellrock Internet's SMS Service makes it easy to use of the ideas presented here and more to create SMS Marketing Campaigns that will help your business grow. Give us a call at 928-451-8556 or use this form to contact us right away. Maybe you have heard of mobile marketing SMS messaging, but you probably don't quite realize what all of the hype is about. This is a fairly new way to advertise your business and many smart business people are taking advantage of it. Don't let your business get left behind, make use of the information here to provide you with an understanding of how this mobile marketing method works. The best part about mobile marketing is that it does not cost a lot of money. Most business people remember paying a lot of money to send out flyers and place ads on the television screen. While those are effective marketing methods as well, the costs can add up over time. Mobile marketing doesn't cost you any more than the cost of sending an SMS (Short Message Service) or an eMail. This means that you can reach a large number of people and still end up with money in your bank account. A proven best practice is to give customers incentives in exchange for their mobile information. Think it over. Attract potential customers and connect with them. A coupon will let them know that they are appreciated. Happy customers will share their satisfaction with others. Quickness has become a top priority in this high-speed world we live in. The longer it takes you to market your business, the faster people will uncover another business to satisfy their needs. The last thing you want is to be left behind because you are using old ways of marketing. You should still make use of all of the other channels you have been using to get to customers, but you should add mobile marketing to the list. How many people do you know that always have their mobile phones at their fingertips. These represent the folks that you connect with using this type of marketing. Since the phone is usually close to them, they will receive your SMS text messages right away. You will not have to place an advertisement and wonder if anyone has seen it. The message you send will get to your audience instantly, and plenty of them may respond quickly. Privacy is something that should never be compromised within your journey to getting more customers. Never give or sell your customer list of mobile or email contacts. If you want to find out what all of the buzz is about, check out mobile marketing: SMS messaging. At Bellrock Internet we have experienced internet marketing people that can start creating a mobile marketing campaign for you to profit from. It is easy to utilize our services and create a mobile marketing plan. We offer a free consultation to start, so please use our contact form to let us know you are interested. Online marketing is no longer optional for most businesses. A majority of shoppers seek out information and reviews online before making a purchase. They expect the businesses they frequent to maintain an online presence, and will probably seek out alternatives if they don’t find what they expect. With the end of the year fast approaching, let’s take a look at the five online marketing mistakes you must avoid in 2016 if you want your business to thrive. As of 2014, more internet users access their favorite websites using mobile devices than using computers. That means you can’t afford to ignore mobile marketing as a way of getting the word out about your business. Mobile users also spend more time online than people who use computers. The best way to make your website accessible to mobile users is to go with a mobile-adaptive option. What that means is that your site will automatically adapt so that any user, on any device, gets an easy-to-use version of your site that’s uniquely suited to their phone or tablet. It used to be common for websites to have a separate mobile site, generally indicated by the letter “M” before the site name. Of course, having a mobile-adaptive site isn’t the only way to cater to mobile users. You may also want to consider collecting mobile numbers to use in marketing. “Text messages are inexpensive to send and tend to have a far higher open rate (close to 99%) than traditional emails.” They can be a great way to engage local customers and get them to visit your business. Google My Business has replaced Google Local, and if you haven’t logged in to claim your page, you’re making a big mistake. You can claim your page by logging in to your Google+ account, or by creating one for your business if you don’t have one. Once you claim your page, you should add a profile picture, a brief description of your business, and a link to your website. It’s also a good idea to include basic information such as a menu, prices, or your hours of operation. Check your address and phone number for accuracy, and use important keywords to reap the SEO benefits. Not only will claiming your page help local customers find you online, it will also give your local search ranking on Google a boost. Note: you should also make sure to claim your page on online review sites such as Yelp and Angie’s List. The subject of online review sites brings us to the third mistake on our list. Sites like Yelp, Angie’s List, Google My Business, and others, offer an easy way for consumers to leave reviews of local businesses. Recent studies reveal that a huge percentage of consumers – upwards of 80% — read online reviews prior to making a purchase. Everyone loves to get positive reviews, but it’s how you respond to the negative ones that can set your business apart. Every negative review you receive is an opportunity to show customers that you care about them. To handle negative reviews well, start by claiming your page. Once you have done that, you need to monitor your pages and respond quickly to all reviews, good and bad. If you decide to delegate the responsibility of responding to reviews, make sure you choose someone who can respond to a negative reviews without sounding defensive or angry. Remember that other customers will be able to see your response. This is free marketing designed as customer service, so make the most of it. Be courteous, grateful for the feedback, and make sure to address whatever issues are raised in a timely and respectful manner. If responding to negative reviews is important, it is equally vital to maintain an active social media presence and engage with your customers there. Despite the overwhelming popularity of social media, a surprising number of companies aren’t using it to their best advantage. You don’t need to be on every social media site, but picking the right ones is essential. Facebook is still the largest social media site and a great place for businesses who market directly to consumers. For business-to-business marketing, LinkedIn is the gold standard. Businesses who sell aspirational products that lend themselves well to photography would be remiss if they ignored the benefits of setting up a Pinterest account. It’s a good idea to monitor some of your competitors on social media and see what they are posting. Try sharing a mix of original content and curated content. One easy way to find content is to follow relevant publications and pages and share their posts. There are plenty of ways to market your business online for free, but that doesn’t mean you should ignore paid advertising. Online advertising tends to be relatively inexpensive and offers some easy options that allow you to budget an ad that won’t break the bank. One option to consider is pay-per-click (PPC) advertising on search engines like Google and Bing. Both options require you to bid on a selected keyword. On Google AdWords, you can use the Keyword Finder to identify potential keywords. Your ads appear only if you outbid your competitors – the bid is based on a combination of the keyword’s popularity and your website’s authority. Chosen ads appear either at the top of a list of search results or on the right margin of the page. Social media advertising is another excellent and affordable choice. Facebook offers options to attract new visitors to your Facebook page or website. In addition, you can boost an individual post so it displays to your followers and their friends, or to target demographics you select. Facebook allows you to set a daily budget as low as one dollar, and emails you regular updates that make it easy to track your results. You can also use customer psychographics – things like interests, hobbies, political affiliations, and more – to target your ads. Other social media sites such as Twitter and Pinterest offer similar options. 2016 promises to bring new marketing challenges for all businesses, but if you avoid the five mistakes listed here you’ll be ahead of the pack. Mobile search is on the fast growth curve. One thing you want to make sure you do when putting up a mobile page is to prominently show you Click-to-Call button or number. Making it easy for an prospective customer call you from your mobile web page should be a top priority. Do not make them scroll or hunt for it. 1: Consider is whether your site is “thumb-friendly”. What that means in practice is lots of big, fat buttons. Keep the font size fairly large and the navigation should be fairly intuitive following the “KISS” principle. Also, since the user is already on their PHONE – a prominent CLICK TO CALL button. 2: You need to be on page one of the search results. Users won’t scroll through pages of results. Highlight your specific location to help boost your business in the top results for geographic searches. Keywords that begin with your location – and then the keyword will help place your website at the top of the local listings. Short Message Service (SMS) – texting on mobile devices has become more than just a way for folks to communicate. It is now being used by businesses as another way to connect with customers. It takes 90 minutes for the average person to respond to an email, while it takes 90 seconds for the average person to respond to a text message. So if a business offers a coupon by text messaging there is a higher probability the business will receive response using the coupon and those responses will almost start immediately. Then if you add the fact that advertising by texting is performed at a lower cost than comparative traditional advertising media it looks like a great opportunity for businesses to pursue this channel. One interesting cost comparison might be to compare the cost of delivering a customer to a business by offering a discount coupon through the socially hot service of Groupon. This service will usually push the business to offer a 50% discount coupon and then charge the business half of the 50% discount per coupon delivered. This can be quite costly as you can see. At the same time a coupon delivered by texting might only cost $ 0.10 to deliver. WOW this is looking better and better, don’t you think ? When individuals get text messages (especially text messages from companies that they don’t have an extremely close relationship with), most likely they really want the message to be short and to the point. Do not send a really detailed text message because it’s almost guaranteed that the recipient will not read everything you are saying. With SMS marketing you want to make the messages you send to people to be as personalized as much as you can. Something as simple as adding the recipient’s first name to the beginning of the message you send them can really help a lot to give them the impression that you are being personal with them. If it sounds annoying to you to go through every message you send out to your large subscription list to add first names, don’t be concerned. There are scripts you can utilize which will automatically add the recipient’s name that they opted with to the text message to make the process much smoother for you. SMS marketing is a really personal marketing technique and it has the added bonus of being really cheap compared to most methods of marketing. Bellrock Internet’s SMS Service makes it easy to use of the ideas presented here and more to create SMS Marketing Campaigns that will help your business grow. Maybe you have heard of mobile marketing SMS messaging, but you probably don’t quite realize what all of the hype is about. This is a fairly new way to advertise your business and many smart business people are taking advantage of it. Don’t let your business get left behind, make use of the information here to provide you with an understanding of how this mobile marketing method works. 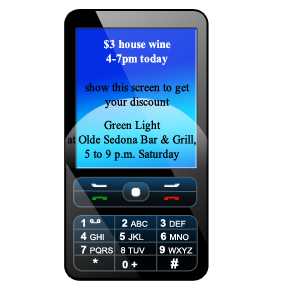 The best part about mobile marketing is that it does not cost a lot of money. Most business people remember paying a lot of money to send out flyers and place ads on the television screen. While those are effective marketing methods as well, the costs can add up over time. Mobile marketing doesn’t cost you any more than the cost of sending an SMS (Short Message Service) or an eMail. This means that you can reach a large number of people and still end up with money in your bank account. A proven best practice is to give customers incentives in exchange for their mobile information. Think it over. Attract potential customers and connect with them. A coupon will let them know that they are appreciated. Happy customers will share their satisfaction with others. Quickness has become a top priority in this high-speed world we live in. The longer it takes you to market your business, the faster people will uncover another business to satisfy their needs. The last thing you want is to be left behind because you are using old ways of marketing. You should still make use of all of the other channels you have been using to get to customers, but you should add mobile marketing to the list. How many people do you know that always have their mobile phones at their fingertips. These represent the folks that you connect with using this type of marketing. Since the phone is usually close to them, they will receive your SMS text messages right away. You will not have to place an advertisement and wonder if anyone has seen it. The message you send will get to your audience instantly, and plenty of them may respond quickly. Privacy is something that should never be compromised within your journey to getting more customers. Never give or sell your customer list of mobile or email contacts. If you want to find out what all of the buzz is about, check out mobile marketing: SMS messaging. At Bellrock Internet we have experienced internet marketing people that can start creating a mobile marketing campaign for you to profit from. It is easy to utilize our services and create a mobile marketing plan. We offer a free consultation to start, so please use our contact form to let us know you are interested. © 2019 Bellrock Internet Marketing Sedona.